A strongly fetid plant first collected in Kent Co. in 1902 by E. J. Cole. Not found again until 2003, when noted as abundant along the gravel shoulder of US 23 in Monroe Co.; doubtless more widespread than collections suggest, and apparently rapidly spreading along highway shoulders. MICHIGAN FLORA ONLINE. A. A. Reznicek, E. G. Voss, & B. S. Walters. February 2011. University of Michigan. Web. 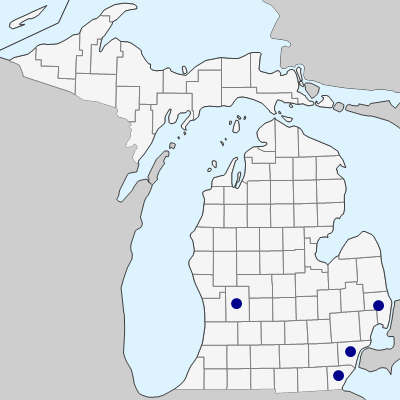 April 22, 2019. https://michiganflora.net/species.aspx?id=308.